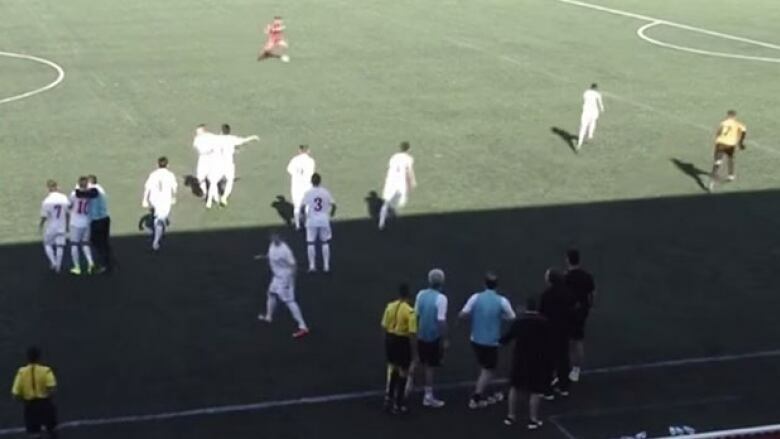 An injury-time goal was cause for celebration for Macedonia during an under-16 soccer match against Gibraltar. But perhaps the Macedonians celebrated a little too much. Gibraltar's goal was both hilarious and legal since all 10 Macedonian non-goalies had crossed the centre line. The crazy part of all this? The same thing happened exactly one week ago. Well, you know what they say about those who can't learn from the past.